There is no doubt about it: a lot of people love to watch sports. Viewership for the NFL alone was up 5% in 2018. That rising number also translates into increased production opportunities for all of us. But who is booking these productions and how are they getting the job done? Is it the traditional production model with multi-million dollar rigs? Is it one of the newer models of multi-camera field production with small, powerful switchers along with smaller cameras and streaming? Or are production crews streaming pro and college sports directly from the field to the audience? The answer is yes to all of the above and more. There is no one size fits all in sports production anymore, so we are going to talk about more than just one approach. Plus we will also get a ProductionHUB exclusive behind the scenes to look at how one of the world’s busiest celebrity sports producer works under pressure to deliver the high quality work networks demand. If you want big pro sports productions then look no further than the recent Super Bowl in Atlanta. It took over 5800 credentialed media professionals to cover the game and associated events! 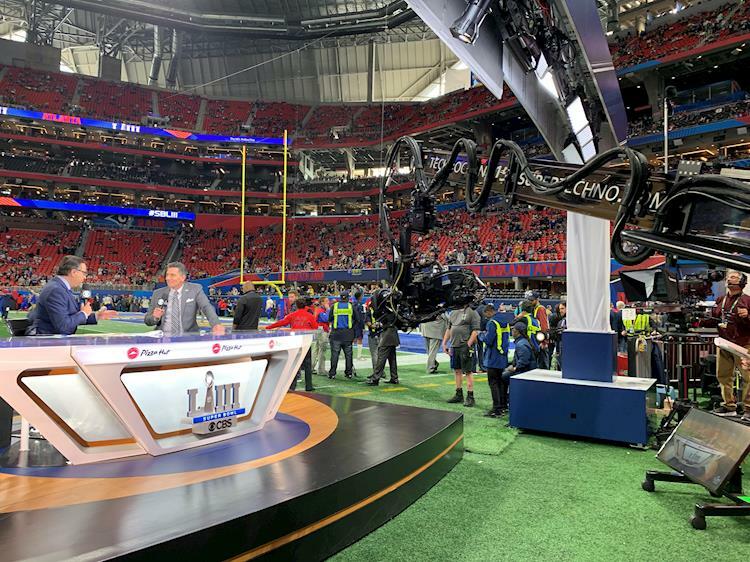 CBS had a whopping total of approximately 115 cameras that covered the game from just about every angle, and they added 8k cameras and cameras for augmented video. On a personal note, I have produced and covered professional sports for a long time, even worked for those dreaded New England Patriots! I've seen that broadcast and cable networks will go with the technology and cameras that will deliver a solid product first. Using equipment like Sony and Grass Valley Switchers that can be as complicated as flying a 747 but come through when called on all the time. Then the networks will almost always be ready and willing to take calculated risks to enhance the viewer experience. Think wireless cameras and microphones on a Super G skier. That’s pretty thrilling stuff, right? Most of the time these risks pan out right? Nope! But just think of the advances in technologies like 4K, 8K, wireless audio and video, Steadicam, overhead wire cameras and drones. There is so much more but I'll stop there. Needless to say, things sure have improved since my start in the truck with eight cameras and one slo-mo! But I digress, so let's get back to the game. Working on live sports is a terrifying rush, to say the least. The pressure is on to get it right. Nobody knows that better than John Pry, the very tired President of JitaCam. We spoke with John just hours after the Superbowl. 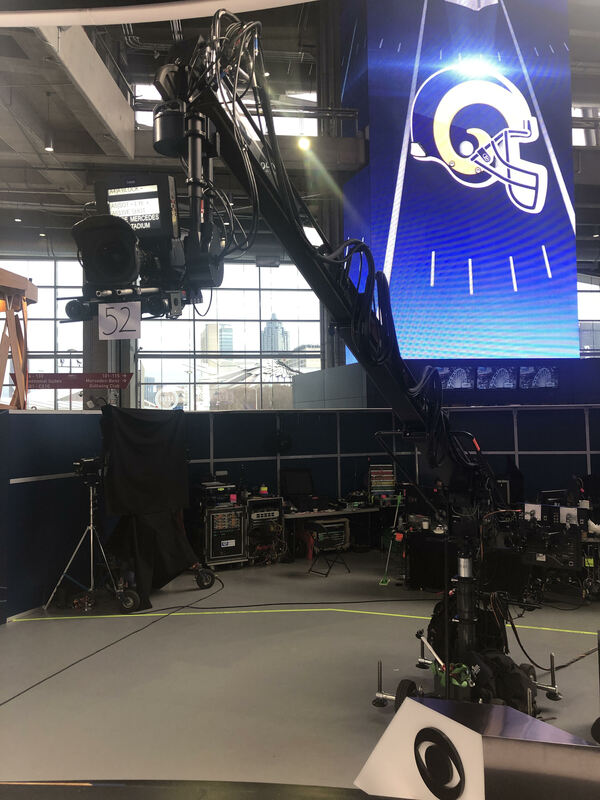 ProductionHUB: What kind of gear did you provide for the SuperBowl? 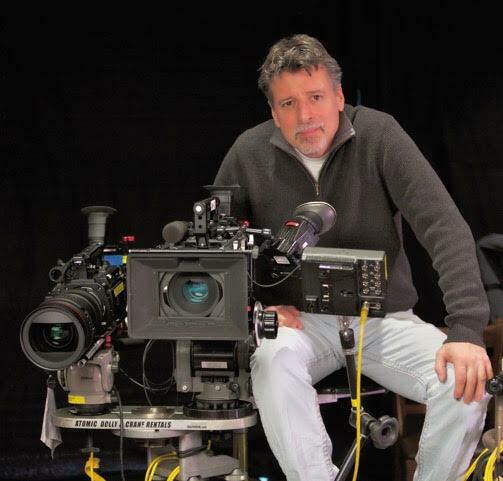 John Pry: JitaCam Inc provided multiple pieces of equipment to CBS for the SuperBowl. We had our 15ft Technocrane on the field Pre/Post set operated by Chris Push, a CBS staffer. The 15ft Technocrane was outfitted with NCAM AR system to provide AR for the opening sequence for the game crew. JitaCam also provided a 22ft technoCrane for the Pre/Halftime/Postgame concourse set. The concourse TechnoCrane was operated by myself. We also had a small JitaCam System installed in the press box for the game feed. Parker Bell & Jeffrey Robertson operated the JitaCam Jr.
PH: What kind of problems did you face? JP: The JitaCam covered Jim Nantz and Tony Romo inside the press box. The press box setup was the most difficult. Kept me up at night leading to the event. We had everything built and running on Tuesday though. Finally had a good night sleep not worrying about it anymore. The issue in the press box was the limited space available. I wasn't able to do a site survey. So we had to go off pictures and descriptions from production! We tried to plan for every obstacle we could. It all went off very well. PH: Who were the guys on your crew that really clutched out? What makes them so valuable? JP: I could not be prouder of our lead tech Nik Gankosky. Most of the prep work was done by him leading up to the event. We were on the road doing other shows prior to Super Bowl and the prep work fell on Nik’s shoulders. Paul Manecky, our lead designer, made various mounts for us to pick from onsite. This kept us flexible with any obstacles that came our way onsite. The sheer scale of producing the broadcast side of the Super Bowl game is obvious, but what about all of those interviews of anyone remotely associated with the game? In a ProductionHUB exclusive, Bruce Taylor, owner of TaylorVision Productions pulls back the curtain on the challenges that he and his crew face. His unique 38-year career lends quite a different perspective and sheds some light on the sometimes not-so-glamorous job of celebrity sports interviews. PH: Let’s start with your thoughts on production today. Bryce Taylor: It's amazing how television has evolved. The tools we use to create today's pre-recorded content are often very different from that of a typical live telecast. ARRI, Sony, RED: All have larger sensors than the cameras currently used to provide the on-field game coverage. The use of these Super 35mm and full frame sensors, along with prime cinema lenses, give more creative control to those creating that content. That said, it all gets delivered with its own unique look that is often, if not always, achieved in post-production. There is no such thing as post-production on live TV. A live event recorded with a tape delay sometimes allows for some post, but for the most part, once it’s headed toward Uranus it’s forgotten. PH: Do you have a standard crew? What are your thoughts on gear? BT: I tend to build my crew around those that also own Sony F55 or Venice cameras. I use Canon Cinema prime lenses. They’re very fast and allow for lots of creative control. Camera manufacturers keep pushing the envelope in terms of sensor resolution and sensitivity. The tools we use keep getting better all the time and lighting is no different. LED lighting has come a long way in the last few years also. Paul Dudek of Vitec Group gave me some Litepanels Geminis to test and I’ve since fallen in love with them. They’re Vitec's answer to the popular ARRI SkyPanels. I have two that I've been pushing through a large silk to create a beautiful wrap-around light that is very pleasing. PH: What do you think are the challenges of your shoots? BT: As a so-called "feature crew" our approach is always dictated by the budget, the size of our crew, and the location and the time in which we have to set up. If we're stuck in difficult spaces and are only given a skeleton crew with limited gear, we do our best. I approach each situation as its own unique set of challenges. In the case of my network sports work, I’m always teaming up with some of the finest producers in Sports TV and their input is always key. With the success of the New England Patriots over the last 10 years, they have obviously garnered lots of national interest. All of the networks want a piece of Brady and Belichick. Content is king! PH: What has the experience of working for the networks taught you? BT: Our role is to light and shoot the content and then pass it all off to the next team. We talk about frame rates, log profiles and anything else that they deem important to their "look" and post-production workflow. These productions are in many ways more stressful than LIVE TV. Much more is expected in terms of production value. In the case of sit-down interviews, 10-15 minutes of access is usually the norm, especially when high profile athletes are in play. That is why we often spend upwards of five hours setting up a 3 camera interview that will last only minutes. Redundancy is key. We always record at least one back-up for each camera. I’ve learned the hard way that if digital files don’t exist in at least two places, they may not exist at all. There are no do-overs. Once they leave the room that’s it. Of course, covering pro sports is a lot more than just one or two big events each year. There is also another part of coverage that is of equal interest to sports fans.Streaming online fans want to be able to dig deep to find out what is going on with their favorite drivers and players. “The second screen productions we work on allow for a deeper more improved experience for the online viewer. I get asked a lot, ‘What does second screen even mean?’ Simply stated it is everything but the actual broadcast itself. So while the network is showing the actual event live we might be at a press conference or behind the scenes. We are careful to stay in our lane so to speak, but from time to time the networks might take one of our cameras. Certainly, the feed is always open to them. LiveX is now at the point where we built our own production trailer. We were able to scale to better accommodate our clients. 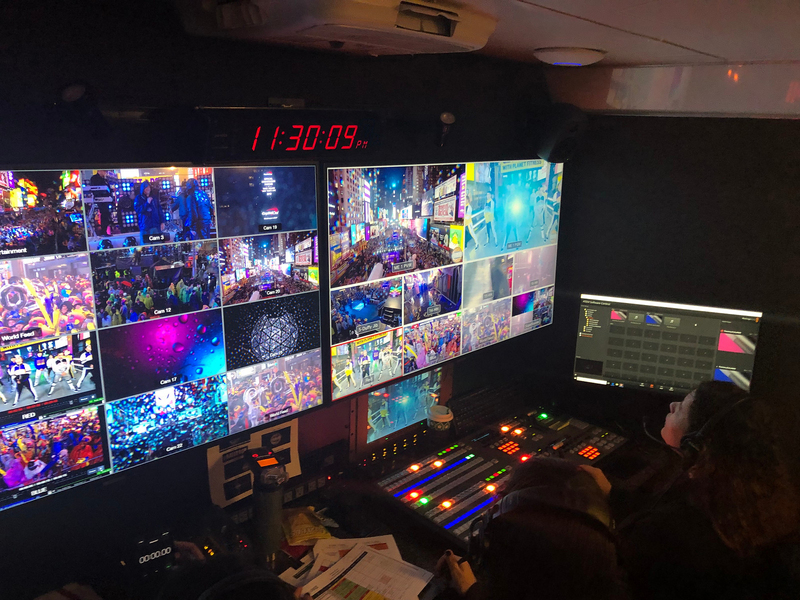 With this trailer, we can now provide an external, robust system that can park outside any venue," says Nick Walsh, Creative & Technical Producer at LiveX. Notre Dame is like no other collegiate program in the country. With a huge following always looking for more content, it was up to the university to find a way to do that. Their solution was to look at LiveU as a reliable way to stream live sports from campus and also on the road. The Athletics department took on a project to support the need for a campus-wide media production facility to cover athletics, as well as academia and other live events. Cellular Bonding became an important component to support high-quality content anywhere on or off campus. Mike Bonner joined the University of Notre Dame from the Denver Broncos two years ago where he led event productions. He had been a big proponent for IP-based live video and wanted to bring that same level of high-quality content and reliability to the renowned university. As the Executive Producer of Live Events, Mike led the testing of technology to support live video via Cellular Bonded technology. We chose to rent LiveU HEVC portable transmission units for the reliability factor. The unit boasted the highest video quality in low bandwidth situations. During our productions, there were no delay or signal issues. Knowing you will always get a great signal was appealing,” added Bonner. Soon after, the University started implementing more LiveU gear into their productions and live video became part of their normal routine. HEVC made the University a believer. We’ve saved several steps by using LiveU. We're covering more content, better content more efficiently," said Scott Rinehart, Director of Broadcast Technology at the University of Notre Dame. At home games, University of Notre Dame uses the LiveU portable transmission unit to produce the live post-game broadcast and the famous “Player Walk,” which consists of Fighting Irish football players and coaches walking from the Guglielmino Complex to the Library and down the Library Quad to the Stadium. Fans line up along the Library Quad to cheer on the team as they walk to the stadium. “It’s a pretty amazing moment that we get to capture live for the fans and team’s family members who are watching from home,” added Rinehart. On the road, the production team uses a LiveU to cover the onsite field reporter and the post-game press conference which are sent in real-time back to the South Bend facility for editing and production as part of the post-game show. 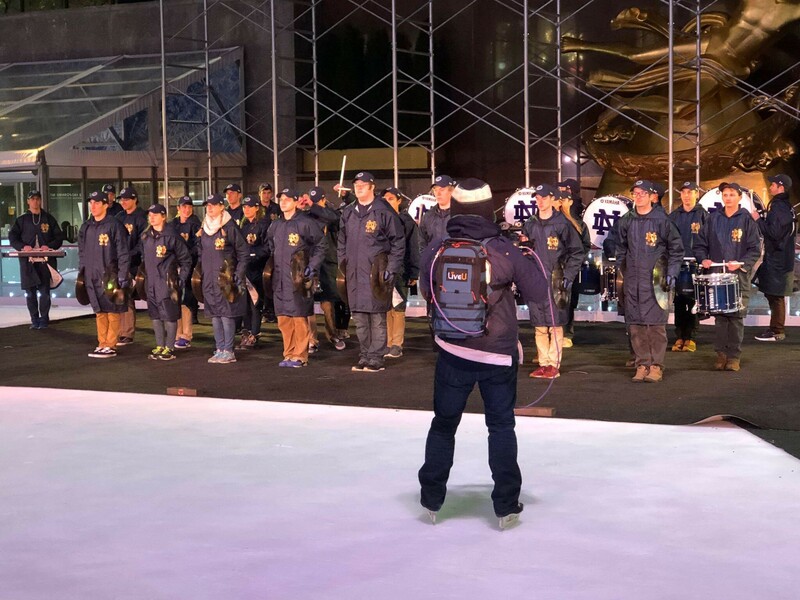 For the 2018-2019 season, Bonner’s team is producing live content including exciting games against Navy and Northwestern and high-profile events such as a performance by the team’s marching band in Bryant Park in NYC that same weekend. “Longer term, we’re looking at sports facilities such as swimming and diving, where fiber is challenging. We are confident that LiveU will play a role in bringing this diverse coverage to a wider audience,” concluded Bonner. Live sports production is a rush like no other. There is no going back and no do-overs. The funny thing is that if you talked to most professionals in this field they love what they do for a living. Modern-day troubadours who travel from city to city in order to bring a great performance. Not for the faint of heart, but truly one of production’s most satisfying jobs. Try it. You might like it!